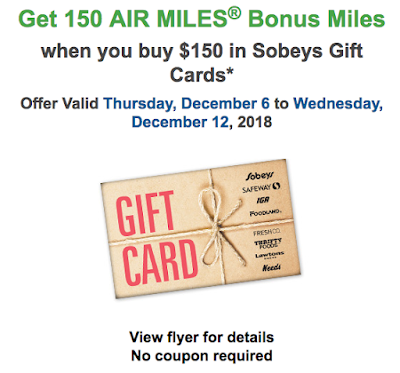 Sobeys and Safeway are offering 150 bonus AIR MILES Reward Miles when you buy $150 in Sobeys Gift Cards. There is a limit of 5 bonus offers per collector. I think I'm definitely going to take advantage of this. I'll buy them on my American Express Cobalt card to earn 5x points and when you add in the bonus AIR MILES it will be worth around $27 in rewards between the two. There is no coupon required to take advantage of this offer. Check out the latest Cathay Pacific Asia Miles bonus for hotel points transfers. They are offering a 50% bonus on transfers until the end of January. Thanks to reader Steve who commented below that Marriott/SPG is actually not part of the promotion. They are shown on the website but not as a bonus option and I didn't follow my own rule of always reading the terms and conditions! Marriott is part of the bonus, and as we all know when you convert 60,000 Marriott Rewards points you'll get 25,000 miles. Add in the 50% and you have 37,500 Asia Miles. Remember it only takes 36,000 Asia Miles to fly in Premium Economy on Cathay between Vancouver and New York (50,000 for Business Class). I'm sure wheels are begin to turn for some of you to see how you can maximize this bonus! 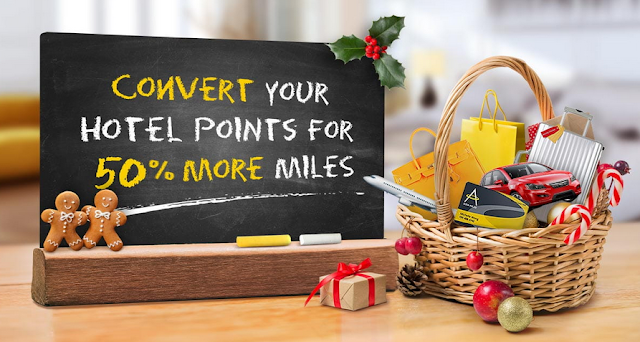 Let us know if you are going to take advantage of it and how you plan on using the miles! If you don't have enough Marriott points you could get the Starwood Preferred Guest Credit Card from American Express right away, put your minimum spend of $1,500 on it as soon as you can and the 50,000 points should post by mid to late January and then you could transfer to Cathay Pacific. 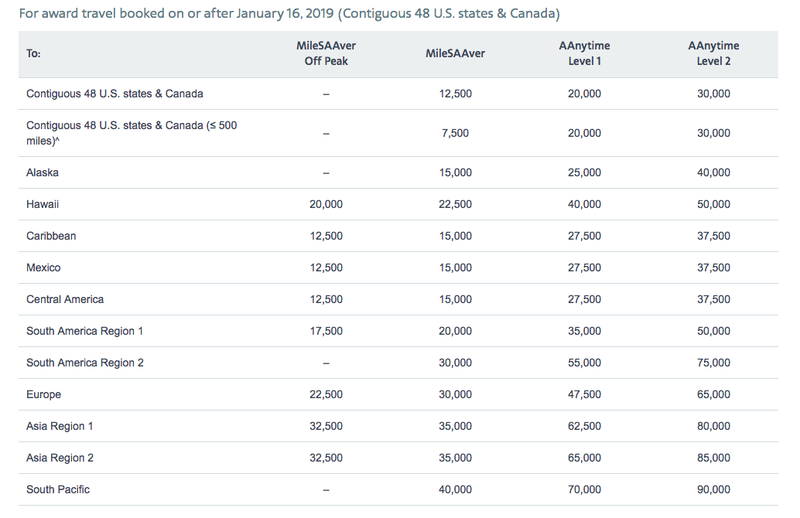 Several years ago when American AAdvantage came out with revised pricing on their flight awards we were shocked that redemptions out of Canada were higher than the U.S. Typically, most programs have the same redemption levels for Canada and the lower 48 but American raised prices out of Canada to amounts higher than travel out of the lower 48. 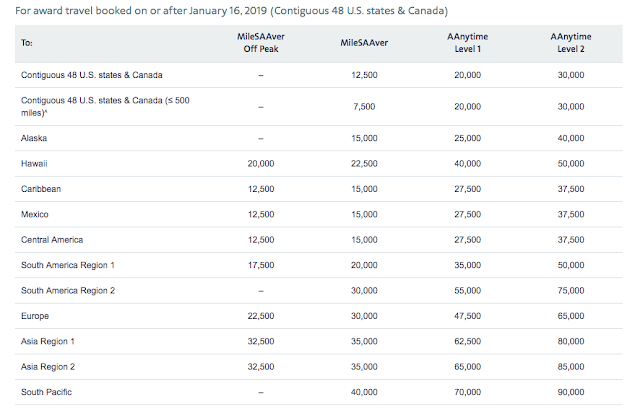 Lucky at One Mile at a Time reports today that American has come to their senses and are adjusting Canada back to the lower 48 rates as of January 16. It's the season of giving! 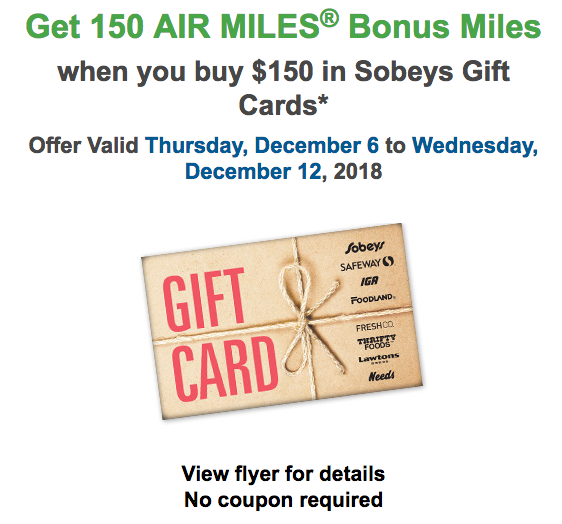 Help support Rewards Canada's Flight Here campaign for Give A Mile. Help us reach 100,000 miles to provide up to 4 flights of compassion. Find out more here! IHG - Receive a $100 hotel credit when you stay 2 or more nights at participating InterContinental Hotels in the Americas. Book by Dec 31 for stays until Jan 31, 19 Find out more here. On this week's Podcast - The Companion Pass!